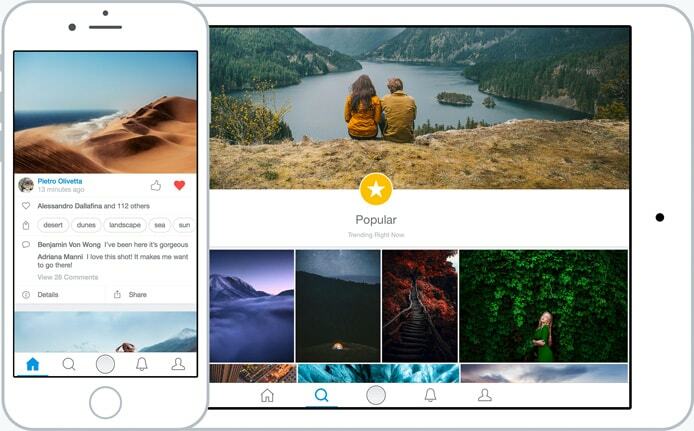 TL; DR: 500px knows creativity. Their team is made up of developers, engineers, and product managers — everything you’d expect from a photo hosting platform — but there’s one crucial difference. They’re all photographers first. This has enabled 500px to intimately understand the needs of their community of more than 9 million photographers who showcase work on the site. By listening to their members, 500px has developed a mission to enable and reward visual creativity. They nurture collaboration among their community, fostering an environment of learning and positivity to help photographers grow skill sets. With business offerings, such as a stock photography Marketplace, management of on-demand shoots, and a photographer directory, 500px is effectively connecting their members with clients to monetize portfolios. When she was 13, Elizabeth Gadd picked up a camera for the first time. Living near the mountainous, picturesque terrain surrounding Vancouver, Canada, Elizabeth found no shortage of awe-inspiring scenery to shoot. In the 10 years following her initial exposure to the world of photography, she honed her skills and perfected her craft. Today, she’s most well-known for her technique of marrying landscape photography with a human component. Elizabeth’s images are stunning, almost otherworldly glimpses into the intersection of art, humanity, and environment. With such a compelling portfolio, Elizabeth needed a venue to showcase her work in a way that both complemented her style and gave her the ability to reach a broader audience. She found that and more with 500px. Ali Tawfiq, Product Manager at 500px, told us how the platform is ideal for photographers like Elizabeth Gadd. Like Elizabeth, more than 9 million photographers have made a home on 500px. The platform offers creatives a space to broadcast their work to the thousands of clients looking for photography and related services. Ali told us 500px’s mission is centered on three pillars: to help photographers grow skill sets, bolster exposure, and increase income. With an active community constantly collaborating on ways to sharpen their artistic talents and business offerings that connect photographers with clients, the site is accomplishing these aims. The three pillars of 500px’s mission all work toward the overarching goal of enabling and rewarding visual creativity for the members of their community. One of the main reasons 500px is able to successfully do this rests in their team’s dedication to photography and their professions. 500px’s mission is to enable and reward visual creativity by expanding abilities, exposure, and revenue for creatives. Because photography is instilled in their culture, 500px has an uncanny ability to understand the needs of their community. Team members are also end users of 500px’s platform, so it’s easy to see why the site is so effective — the people creating the product have a personal stake in it. This close engagement of the team with the site’s vast community enables 500px to gauge how to position members to best reap the rewards of their work. The returns come in the form of monetization of portfolios and skills but also in widened exposure and learning opportunities. The community aspect of 500px works in a similar manner as a social media platform. The difference? 500px hosts a community of people working toward the shared goal of professional and creative development. The 500px community cultivates an atmosphere of collaboration and encourages learning among members. The site fosters an environment of positivity and learning. Members of 500px are able to share their work and follow other members. The community encourages praising the photos they find compelling and providing feedback and tips to nurture continuous improvement. In addition to broadening photographic strengths, 500px gives photographers the ability to open up new channels to reach large audiences interested in purchasing their services and work. There are thousands of potential clients browsing 500px looking for photographers that fit their needs. Expanding skills and exposure has always been part of 500px’s mission, and accomplishing this growth intuitively leads to generating revenue from portfolios and expertise. For years, the 500px Marketplace has been a place where photographers can showcase their work in stock photography. Now, the 500px team is expanding their revenue solutions for photographers with 500px for Business. The idea behind the new offering is to connect clients with photographers around the world to perform large-scale, custom photo shoots. 500px has also recently launched an online directory that has quickly proven to be a valuable resource for photographers and the clients looking to give them assignments. When 500px launched their Marketplace, it was an almost immediate success. Photographers in their community were able to submit their best photos and obtain licensing for them to be sold as stock photography. 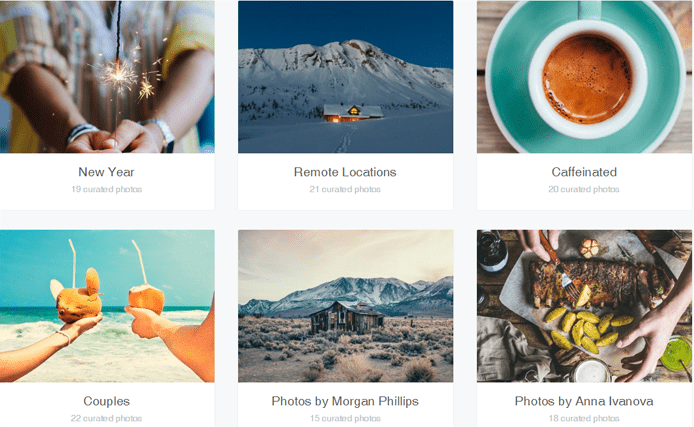 500px’s Marketplace allows their community to license and sell their work as stock photography. Ali noted the imagery sold in the Marketplace is not your run-of-the-mill stock photography. Rather, the photos represent “a true photographer’s eye.” The images are inspiring and very popular with clients. Though the Marketplace was a huge success, 500px knew there was more they could do to help grow the bottom lines of their photographers. The team noticed the changing landscape in what was driving client demand. There was still a big call for stock photography, but clients needed customized photography solutions that went beyond the Marketplace. One of the core offerings of 500px for Business is the ability for clients to hire photographers to create on-demand content. These commissions are focused on large, custom projects that entail capturing shots in a number of different cities with thousands of photos required in a short period of time. An important component of 500px for Business is their new directory, which allows photographers to showcase their work to prospective clients actively pursuing services in their area. Community members participating in the directory are able to house their work on a specific page on their profiles. Clients can then search for them by location and category. The directory offering allows clients to hire photographers right from their 500px profile pages. Ali is especially fond of the directory offering, as it was built out of client and photographer demand and speaks to their core mission of providing returns for 500px members. Currently, there are more than 58,000 photographers in the directory in 192 countries. But, as with growing income for community members, Ali knows there’s room for expansion there, too. One of the biggest goals 500px has going forward is to increase efforts to foster education between active influencers on the site and photographers who want to learn from them. This aim echoes the first pillar of 500px’s mission: help photographers grow skill sets. The vision is to allow people new to the photography game to learn techniques from experienced veterans like Elizabeth Gadd and her compelling take on landscape photography. The overarching mission to enable and reward visual creativity to help creatives grow abilities, exposure, and income is being realized every day by the 500px community. Ali told us there are no plans to slow these efforts.